Build has commenced on a new, state-of-the-art £15 million care facility on Liverpool Road in Formby. 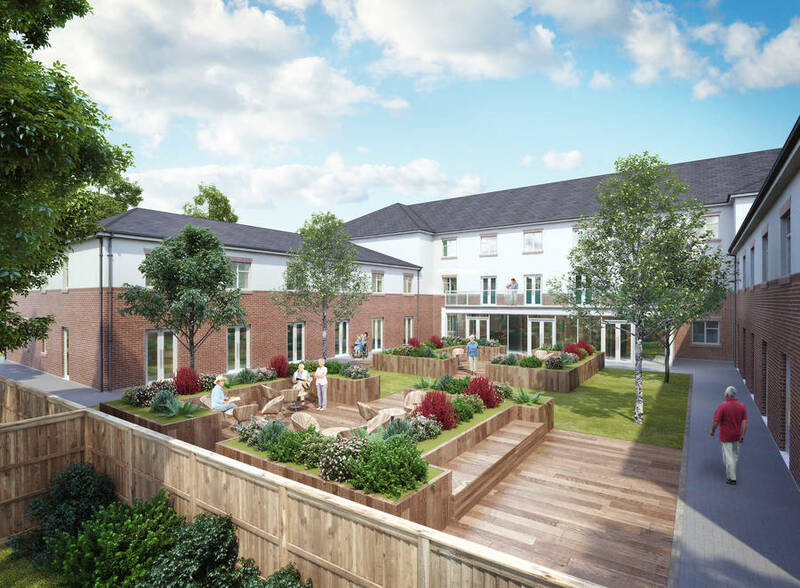 Located on the site of the former Mayflower Industrial Estate, the 76 bed expertly designed, purpose-built care centre will create approximately 80 jobs. It will be the seventh care facility for New Care, a rapidly growing development-led care home operator. The 4,000sqm home will provide an exceptional clinical offering, including residential, nursing and specialist dementia care services. Renowned for its compassionate, person-centred care, New Care’s individual approach is evident in its focus on ‘enablement’ which involves working with each resident individually to maintain their health and wellbeing and ensure they remain as independent as possible for as long as possible. Catering for the aspiring needs of its residents in Formby and the surrounding areas, each of the well-appointed and restful bedrooms will feature en-suite wet rooms, while the home itself will offer several stylish communal lounges, elegant dining rooms, spa assisted bathrooms and beautifully landscaped gardens. The impressive care facility will also boast a hair salon and nail bar. And, with its own dedicated hospitality team, the facility will provide high end hotel-style services that ensure continued quality of life and enjoyment for residents, including fine dining, concierge services and a busy and varied programme of activities and events. Part of the McGoff Group, New Care works with its build partner, the multi-award winning principal contractor McGoff Construction, also part of the McGoff Group, throughout the entire design and construction process. Unique in its ability to acquire, design, build and operate, the McGoff Group provides a ‘one stop shop’ approach naturally de-risking the development process while adding value and enhancing growth. With a vision to improve care standards across the UK, the new care facility will provide an additional support framework for the local health economy in Formby. For further information, please contact Dawn Collett on 0161 905 0760 or email enquiries@newcarehomes.com. Alternatively, please visit www.newcarehomes.com.